A square with rounded top design, the Condor II can hold over 1950 cu. in. of gear. One removable Y-shaped top strap and four quick-release lateral compression straps secure contents and takes strain off the durable YKK #10 zips. Wide shoulder straps with high breathability backing provides superb cooling characteristics. 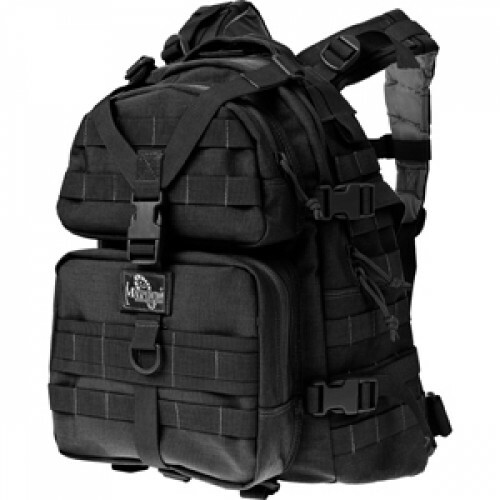 Backpack loadbearing capacity can be expanded greatly with other MAXPEDITION modular pockets, added to the backpack's front or side PALS attachment points using Malice Clips.